She is a contributing writer for the Politichicks and The Horn News websites. She is working on a book series called The Angry Educator. Based on two decades of experience in the field, these books will offer a revealing look at the public school establishment from the perspective of a conservative Christian. Melanie is a member of the adjunct faculty of two New Jersey universities, where she teaches computer science. She is currently working on a doctorate in philosophy, business administration and management at Northcentral University. She earned a master of public administration degree from Marist College and a bachelor of science in business administration degree from the University of Phoenix. 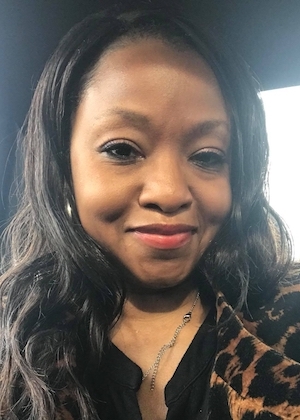 She is a licensed school business administrator and has a certificate in business law, economics and technology from the New Jersey Department of Education. Melanie has served as a member of the Middle Township Zoning Board and Cape May County Advisory Commission on the Status of Women. She was a mayoral liaison for Concerned Citizens of Whitesboro. She was also a grant reviewer for the United Way of Atlantic County. All are located in New Jersey. Politically, Melanie is the vice chairman for public relations for the National Federation of Republican Women. She is 1st vice president of the New Jersey Federation of Republican Women, where she has also served as a regional vice chairman. She served as vice chairman of the Marco Rubio presidential campaign in 2016.